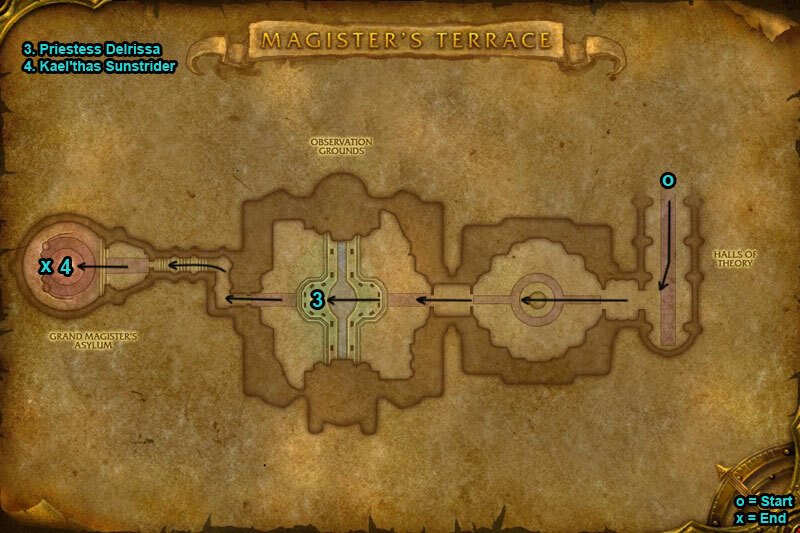 You can find the Magister’s Terrace dungeon within Isle of Quel’Danas. 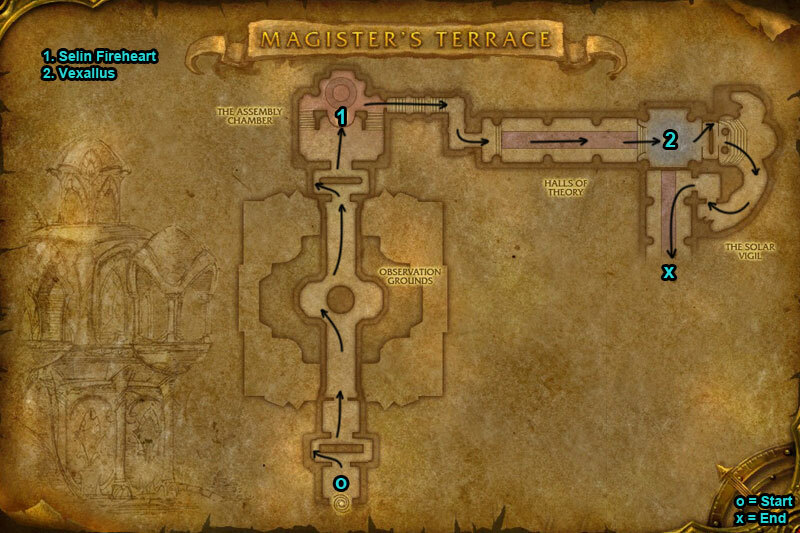 Go to Shattrath City & take the portal to Isle of Quel’Danas then head towards Magister’s Terrace, top right of map. /i Heals himself by using Drain Life on a player. 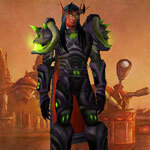 Fel Explosion blasts fire damage at players. 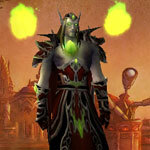 Uses Fel Crystal to recharge his mana. Heroic Differences: steals mana by using Drain Mana on a player. /i Uses Chain Lightning. Arcane Shock deals ticking damage. At 20% Overload deals arcane damage & increases your damage taken. Boss summons Pure Energy, when they die do more arcane damage. 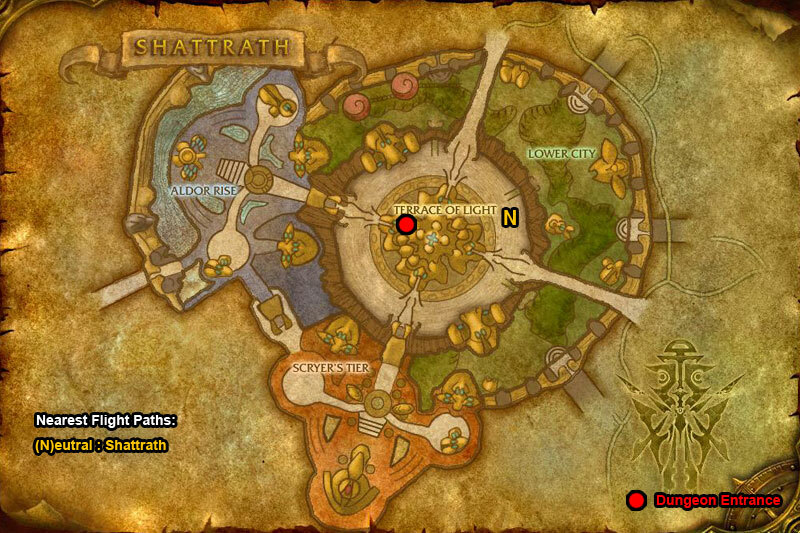 Heroic Differences: Summons x2 Pure Energy at a time. /i Inflicts ticking shadow damage. Heals allies with Renew. Protects herself with a shield absorbing damage. Interrupt Flash Heal. Different adds will join fight, kill them quickly. 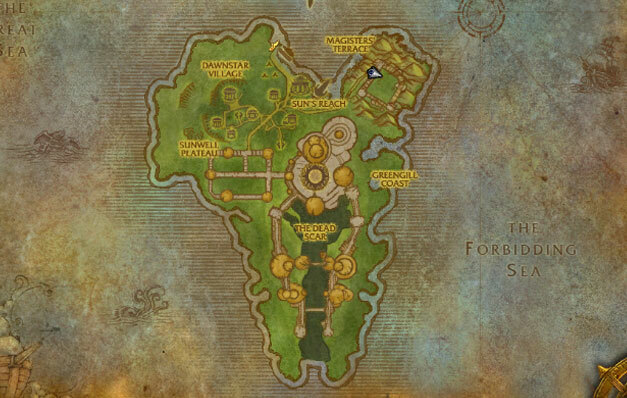 Heroic Differences: Medallion of Immunity removes all movement & loss of control effects from herself. /i Interrupt Fireball. Kill Phoenix Eggs fast, do not let hatch. At 50% casts Gravity Lapse allowing you to fly. Move from Arcane Sphere they damage anyone they touch. 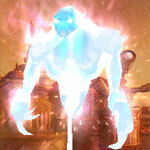 Heroic Differences: Boss is protected with Shock Barrier, absorbing damage & immune to interrupts. After Shock Barrier interrupt Pyroblast.